September is Childhood Cancer Awareness Month. 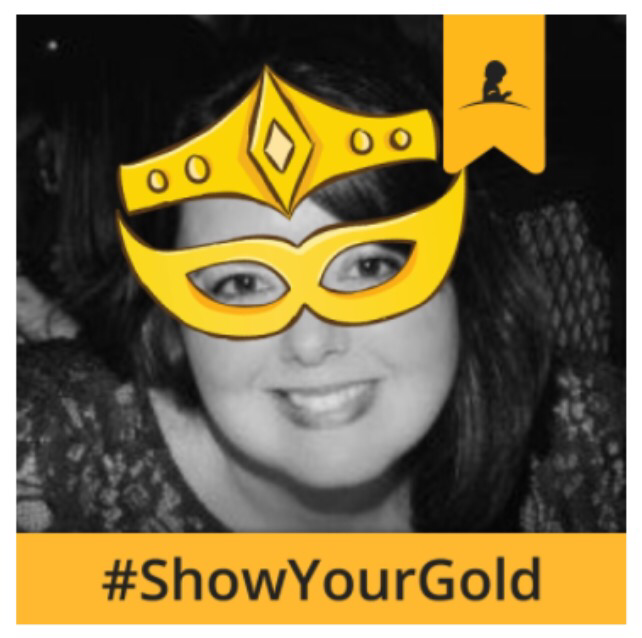 All month long, you may have seen people changing their profile pictures on social media to #ShowYourGold or even superheroes. 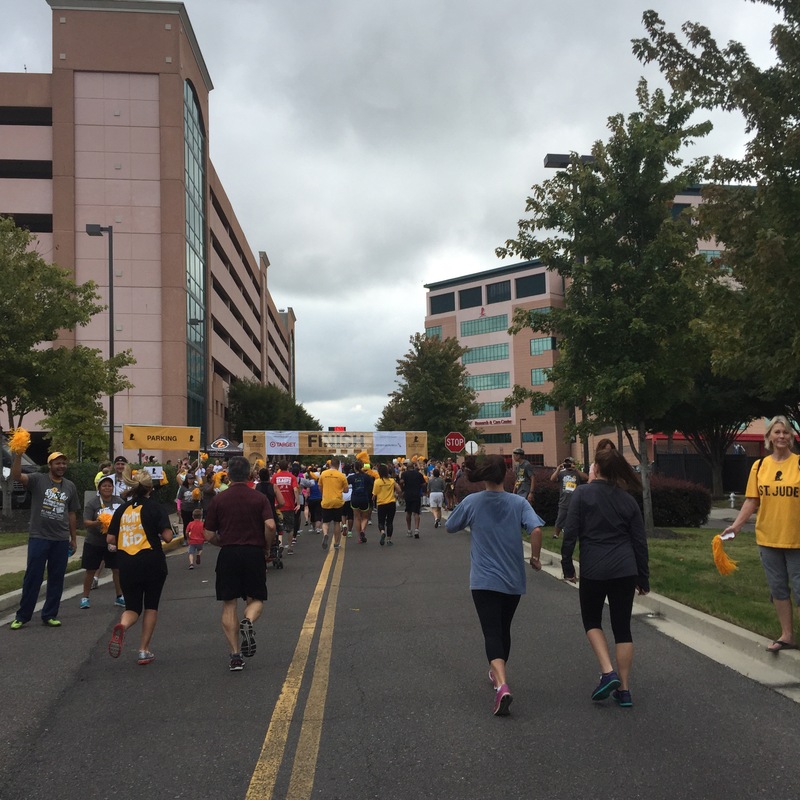 On September 19 and 26, St. Jude Walk/Run to End Childhood Cancer events happened all over the country to coincide with Childhood Cancer Awareness Month. 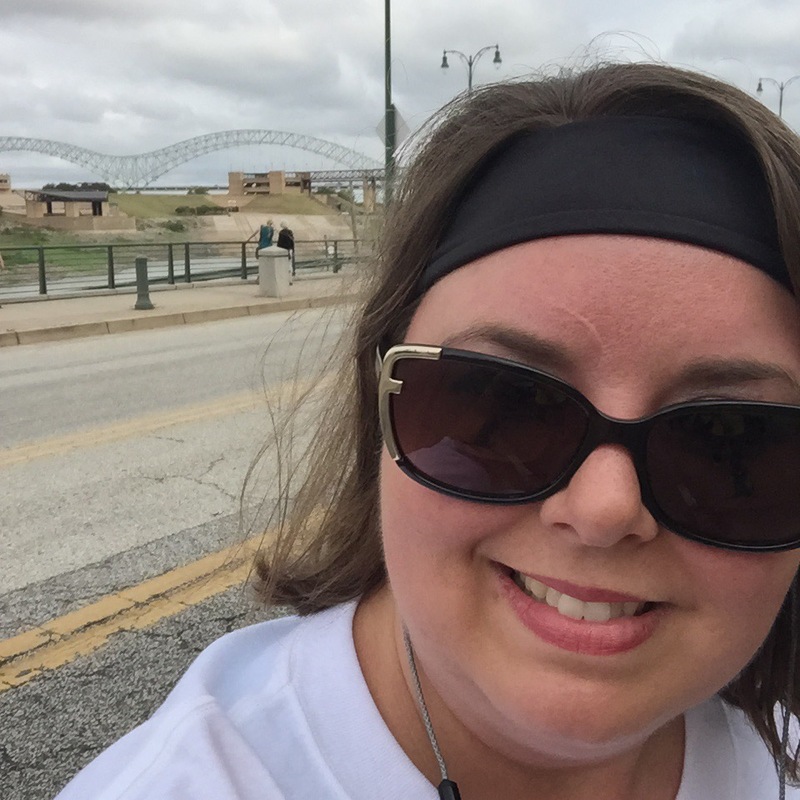 I participated in the Memphis event, and it was unlike any 5k I’ve ever done. First of all, it was a walk/run, with an emphasis on walk. This made it perfect for beginners and even people who aren’t active at all. There was none of the “fast people in the front, slow people in the back” business. It was not about racing. It was all about everyone coming together for one reason and one reason only: to raise awareness for childhood cancer. There were also so many people participating in teams and staying together as a team. Many teams had matching shirts made for the event. All that unification was a really cool thing to see. There was so much gold, too! Gold signs, flags, pom poms, headbands, shoelaces and even socks were everywhere! 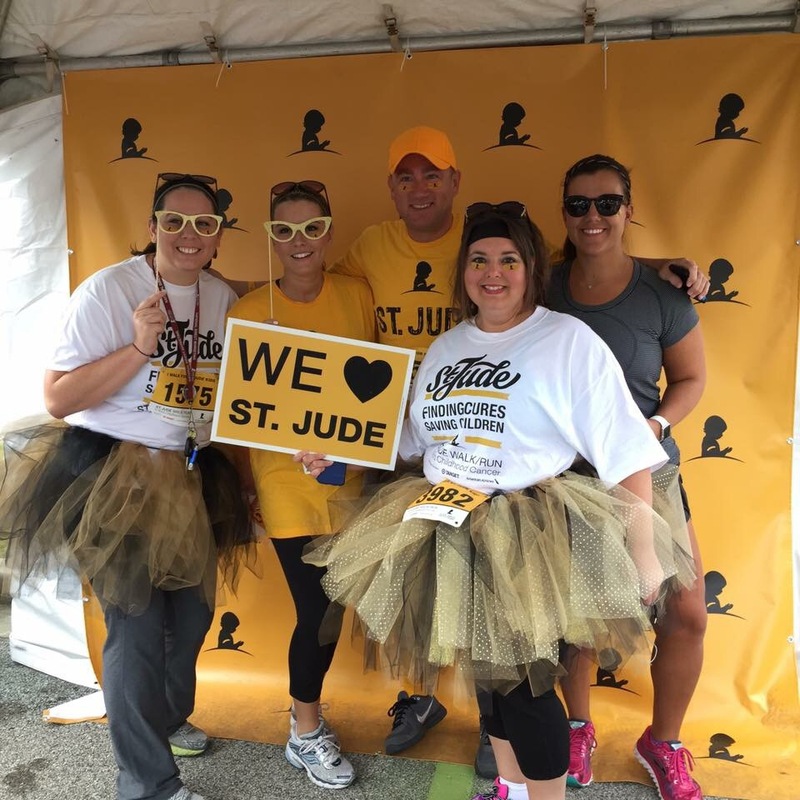 My floor made gold and black tutus to sell as a fundraiser so those were all over the course as well. I even wore a tutu for the first time. Traffic was crazy getting to the event so I knew the turnout was going to be huge. Stuck in traffic but I couldn’t wait to get there! Despite allowing myself what I thought was more than enough time, I got there just in time for a photo with my immediate work team before heading to the start. I also got a quick Periscope broadcast in (@myglasssneaker). The weather was great. 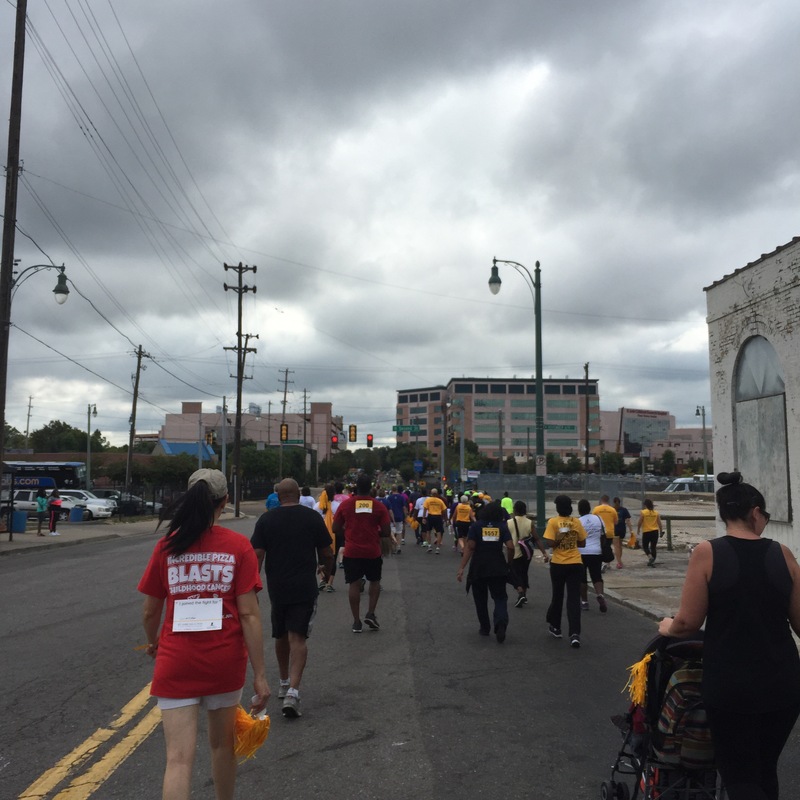 It was a mild, overcast day, although more humid than I expected. I absolutely love downtown Memphis courses. I love running by the famous M bridge. The scenery is gorgeous, although I always forget how hilly it is. Does this look like a hill? Because, it definitely is one. 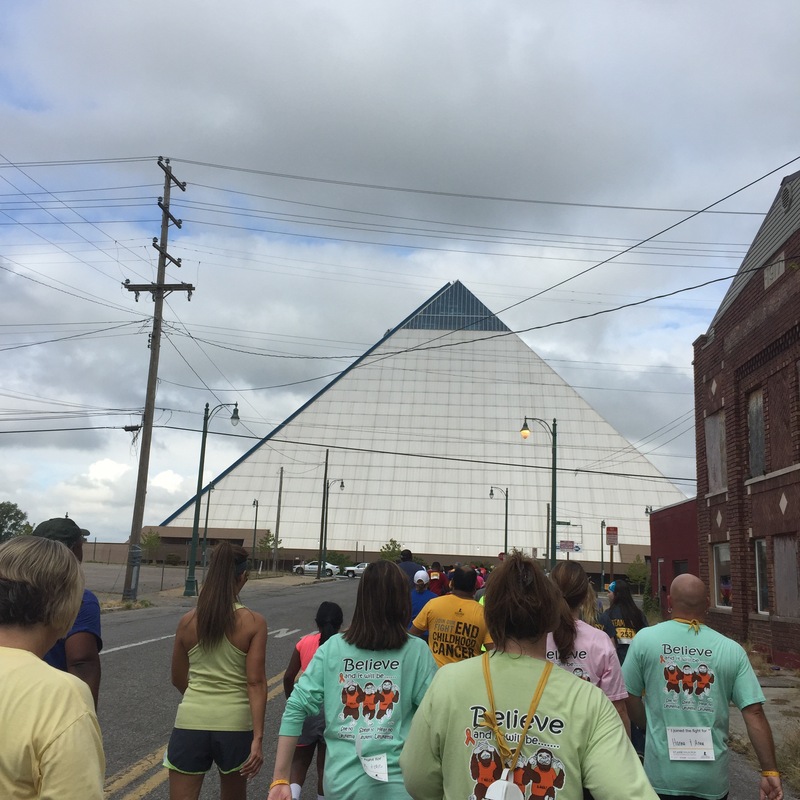 The Pyramid, which is now home to Bass Pro. Except, the hospital and finish line is in the opposite direction. Shouldn’t we be heading the other way? Finally, we are heading back toward the hospital! As a chronic back-of-the-packer, I really enjoyed being with the pack for the entire course. 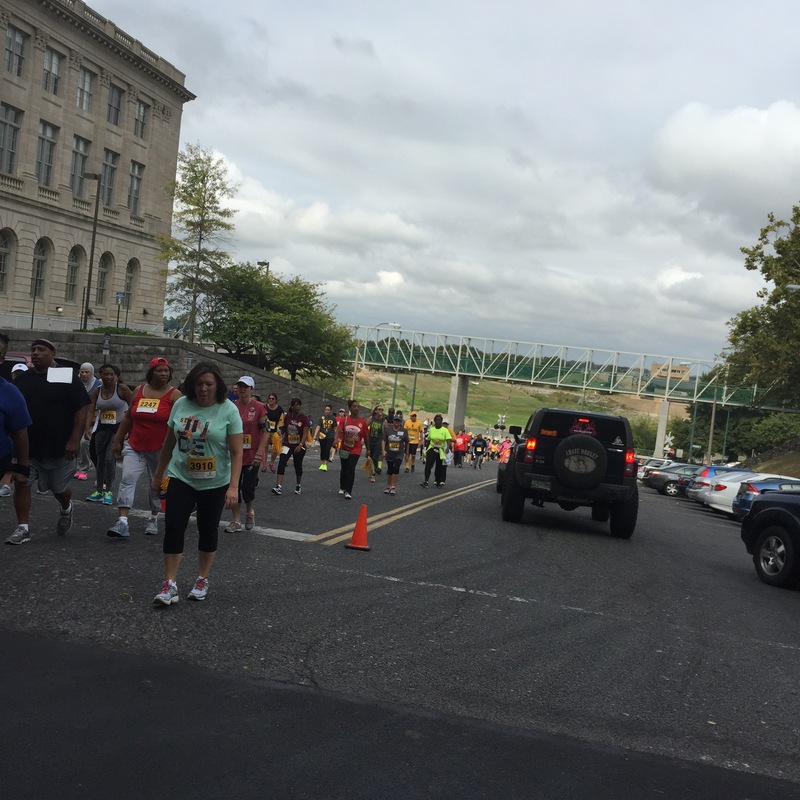 Once I was done, I stuck around for a few minutes at the finish line to cheer people on. 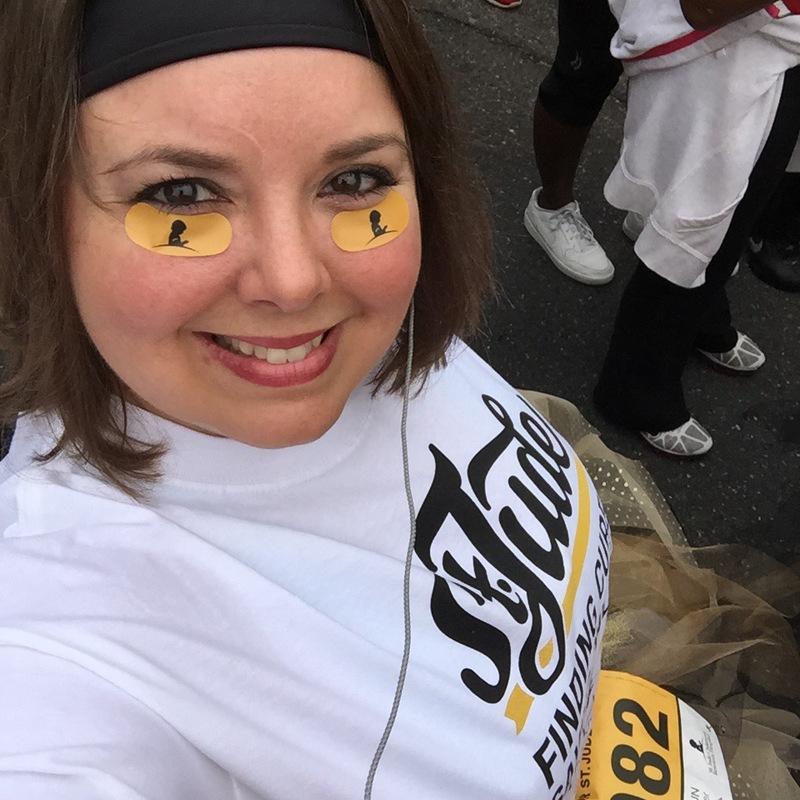 I also did another quick Periscope broadcast from the finish line. It was a great day, and I’m sure it will be even bigger next year. 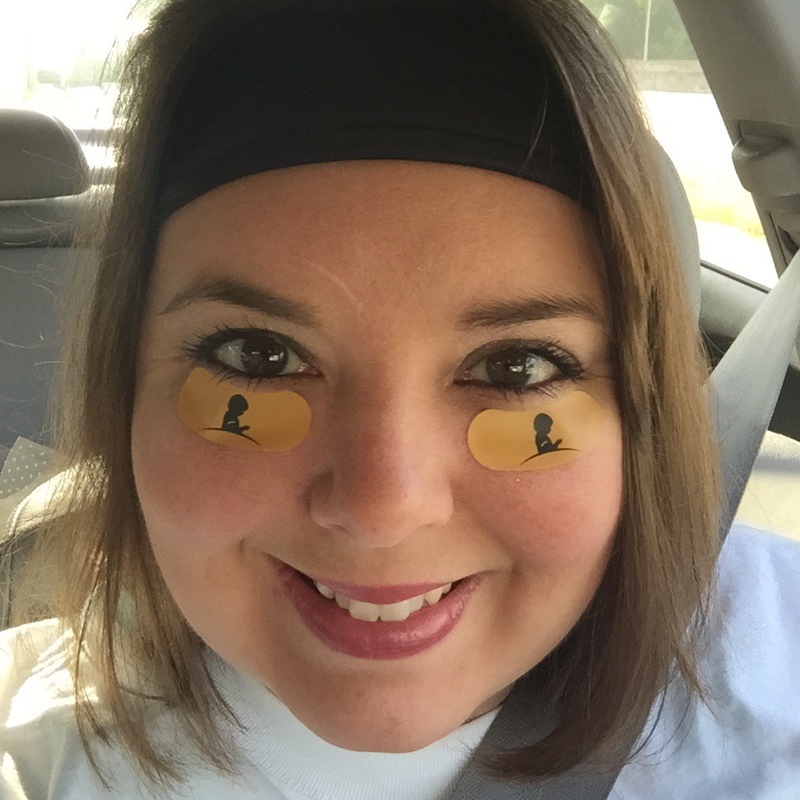 Did you participate in an event in your area?